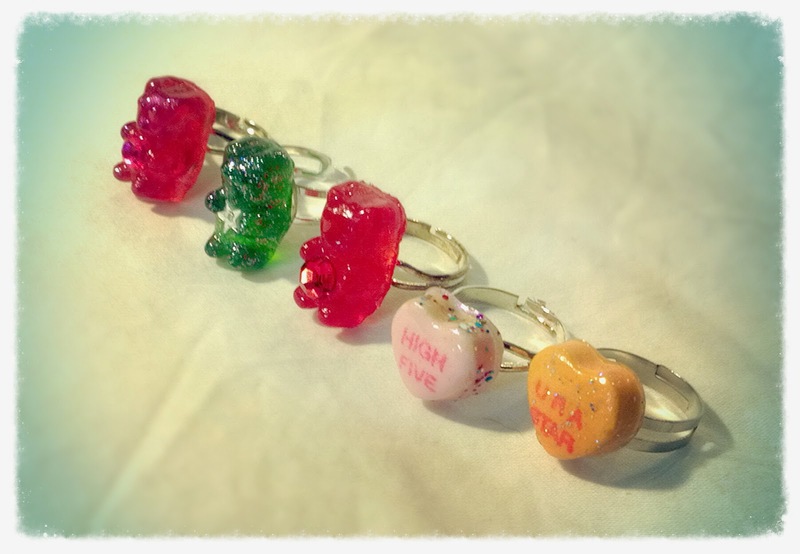 Candy rings made from real Gummy Bears and Candy Hearts! Each ring is made of *adjustable* metal and affixed with a strong permanent glue. 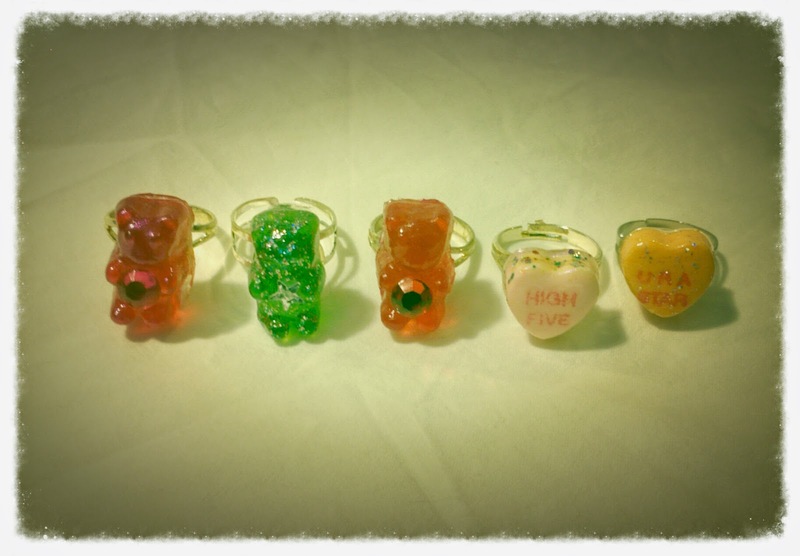 Gummy bears/candy hearts are hardened in epoxy resin for a plastic coat. Not edible! 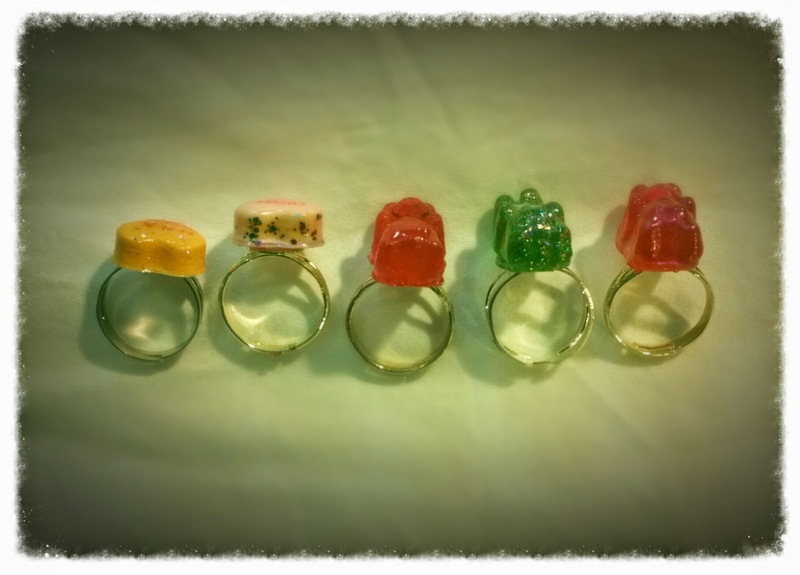 NOTE: I can make gummy bear rings in just about any color. The main colors they come in are clear, yellow, green and red, but I can paint them to make them a certain hue. I can also make them without the gem or anyway you like. Contact me for a custom order.